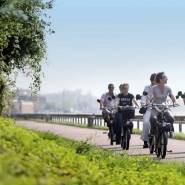 Do you want to get to know Maastricht whilst having fun? Then book a colourful kick bike and go on a journey of discovery. 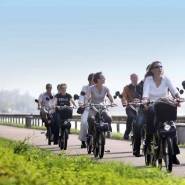 Maastricht is the ideal city for this activity. The compact size of the city centre makes it easy to cruise through the whole of the city in an active and carefree way on this fun form of transport. Kick bikes have become a real craze and is quicker than walking and easier to stop than a regular bike. Not only that, but the kick bike also takes you back to your childhood. With a map and a route description, you are ready to go. 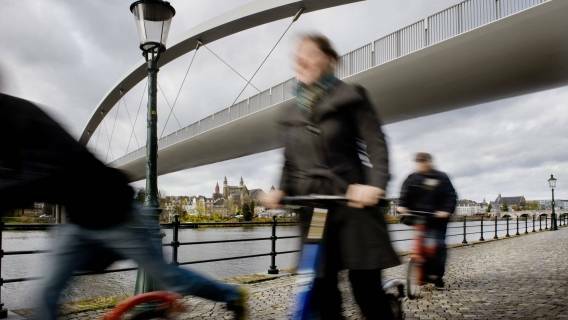 The route takes you to the finest and most impressive must-sees of Maastricht. 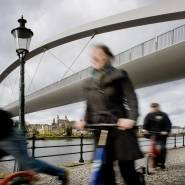 You'll cruise past the City Park, the Helpoort, the Pater Vincktoren, the Onze Lieve Vrouwe church, and the City Hall, before finishing on Maastricht's best known square: the Vrijthof. Along the way, you'll stop off at a cosy café to enjoy a cup of coffee and a delicious slice of Limburg vlaai. The kick bikes are easy to use. Children are allowed when they are accompanied by an adult and if they are 14 years and older, ask us about the conditions. This fun outdoor activity is perfect for a group of friends or colleagues. Extra details: If required, we can also provide a guide; price on request.